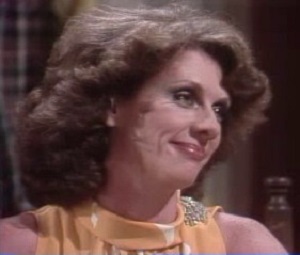 Portrayer: Judy Cassmore, May 27, 1980 - January 8, 1981. Departure: Planned to move to Florida. Exit Scene: In her car in front of her home, to the hitman in the back seat, "What?" Cause of Death: Killed by heroin overdose, by Jordan Scott's hitman. Place of Death: Her car about to leave Bay City, Illinois. Relatives: Jerry Grove, son. Brother (RIP). Dates: Jim Matthews (RIP) (1980). Former Occupation: Las Vegas showgirl.